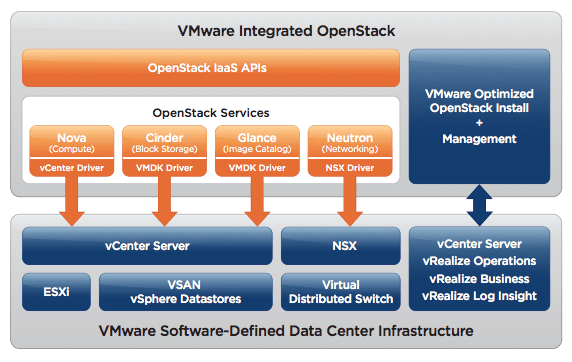 VMware Integrated OpenStack (VIO) Is Here! VMware Integrated OpenStack (VIO) has arrived in the slew of February 2, 2015 announcements from VMware. 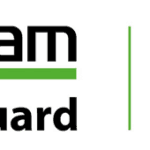 It was initially announced at VMworld 2014, and has been something I’ve been following closely. One of the key parts of the strategy for any OpenStack cloud is how the software itself will be consumed. Will your organization use a commercial distribution? Will they build it themselves? How often will they update it? One of the key features of VIO is the ease of upgrades. VIO will provide in place upgrades, after testing by VMware. Besides creating an OpenStack easy button, this is one less notch on the “don’t” list for companies who were tentative on taking the plunge with OpenStack. It is well known that one of the big challenges with OpenStack adoption has been the update and upgrade process. Having the VMware packaged offering will certainly make many companies take a second look where there may have not done so before. VIO is key for a number of reasons. A distribution by a partner already in your data center. Many consumers of VMware may be more comfortable to make the jump to OpenStack when it has been provided by an organization that is already present in the data center. When it is the organization that powers you virtual infrastructure, you can bet it will put minds at ease. After all, one of the key integrations with OpenStack is at they hypervisor layer for the deploying of instances. You may already own it. VIO is free to use for any organization with Enterprise Plus licensing. Support is optional. This is great for organizations that want to kick the tires, but aren’t quite ready to move to production. OpenStack is more than just a technology, it is a shift in thinking. It may take organizations a while to make it there, so why pay for something you don’t quite need yet? When you’re ready to go production, it will cost $200 per CPU, with a 50 CPU minimum. Easy to deploy. VIO is a virtual appliance you can deploy right from the vSphere Web Client, which makes it easier for your VMware administrators to get started since they can use their familiar interfaces. Workflows are ready to go. VIO comes with predefined workflows to get you going with things you’re going to need to do in your OpenStack environment, such as configuration changes and upgrades. The release of VIO makes it even easier for VMware customers to get started with OpenStack, which is a magnificent thing. Organizations can begin to kick the tires on the OpenStack cloud and see if and when it will be a good fit for them. Regardless of how long it takes an organization to make the move, the increased visibility is great for the OpenStack ecosystem as a whole. By enabling adoption by more organizations, it means more administrators, developers, and operations teams will have their hands on it, finding potential bugs, and coming up with new ideas for the platform. Check out the VMware Integrated OpenStack product page for more information. If you want to see what it looks like to install VIO, and what you’ll need, take a look at Juan Manuel Rey’s writeup. Happy vSphere-ing AND happy OpenStack-ing!